particles grow. Aerosol particles are lost when they are transported back into the troposphere as part of the mean stratospheric circulation (see Chapter 5), which occurs on a time-scale of 1 or 2 years |40|. For a more detailed discussion of the life cycle of nonvolcanic stratospheric aerosols, see . One source of the H .SO, in aerosols is S02 and OCS produced at the surface from biogenic and anthropogenic activities. These species are transported into the stratosphere as part of the overall general circulation (see Chapter 5) and are oxidized there to H2SO, [41,42|. This source of sulfur can produce an aerosol SAD of about 0.8 pnr cm 1 at around 20 km (see Yue et al. , Figure 7a), decreasing rapidly with altitude. 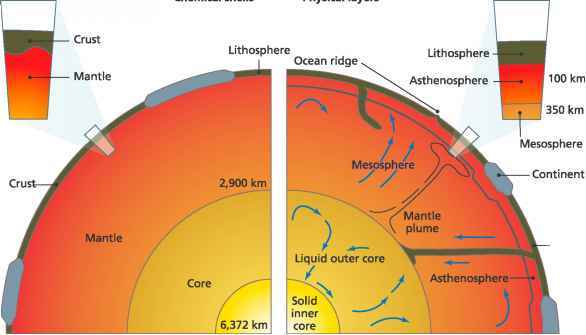 We refer to these nonvolcanic sources as "background" sources of aerosols. Volcanic eruptions are capable of episodically injecting huge amounts of sulfur, usually in the form of S02 or H,S, directly into the stratosphere. The S02 is subsequently oxidized to H2S01  on a time-scale of about I month [22,44]. This 1TSO, is rapidly absorbed by aerosol particles, allowing the aerosol particles to absorb water and grow. Because aerosol particles are llushed out of the stratosphere in 1-2 years, most of the aerosol surface area due to a volcano will have been flushed out of the stratosphere after a few years.